Golf will be used once again this year to support local scouting efforts. The Cherokee Area Council Boy Scouts of America will hold their 30th Annual Scouting Golf Tournament next month. Scout Executive Phillip Wright said now is the time for some golf. 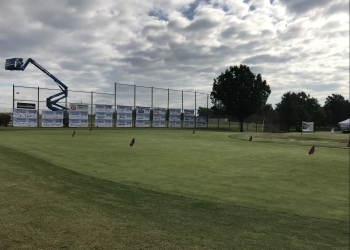 There is a $135 entry fee per player, which includes green fees, a cart, range balls, lunch, drinks, prizes, Mulligans and a chance to be closer to the green on Hole 8. There will be a Hole-in-one Contest this year and the winner will walk away with a new car. There will also be $2,000 in prizes and give away items. For more information, you can drop by the Cherokee Area Council – BSA Offices in Bartlesville located at 520 S. Quapaw Avenue. You can also give them a call at 918.336.9170. The 30th Annual Scouting Golf Tournament will take place on Friday, May 31st. This year's Scouting Golf Tournament will be played at the Adams Golf Course in Bartlesville.